The “By Gigabyte” plan is particularly tempting if you are almost always going to be near Wifi, yours, at work, other people’s (eg Starbucks or friends), or near a Comcast Wifi hotspot. 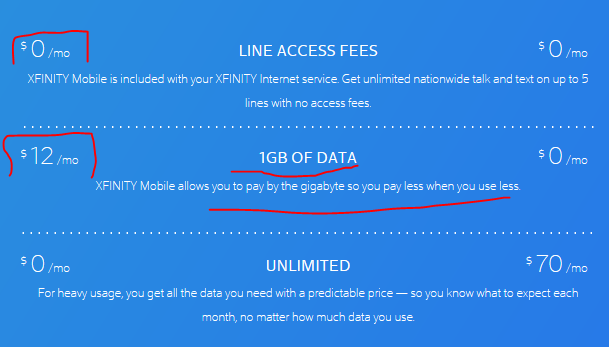 You pay $12 per gigabyte, and that’s it. The unlimited calling and texting is included for free. 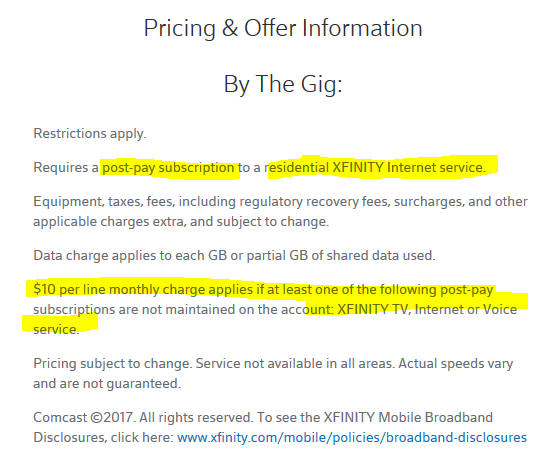 There is no line access fee as long as you have Xfinity Internet service or other post-paid Xfinity service. So this defeats even Project FI as well, because Project FI charges $20 per month for the phone and texting service! This sounds great, but if you are a fan of buying your own smartphones and not getting them from your carrier, then this service is not for you. You can only use it with a select number of smartphones available from the Xfinity store. They have the most famous flagships (both Galaxy S8 and iPhone 7 flagship duo), along with the previous flagships (Galaxy S7 and iPhone 6S duos), and the iPhone SE. The only budget phone available is the LG X Power. They do offer financing deals for the phones, so that helps if you like to pay month to month instead of a giant payment for the phone. “You can’t bring your own phone to XFINITY Mobile. 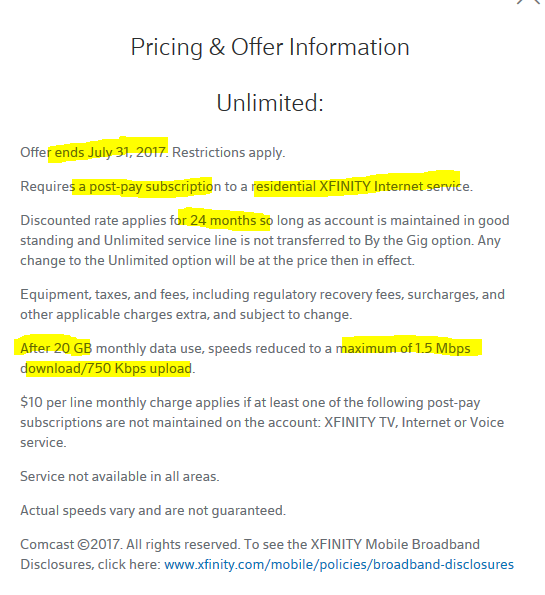 Phones purchased independently or through other carriers will not work with XFINITY Mobile service. I would have definitely given it a try, but the lack of phone flexibility is a dead killer for me. I don’t want to buy any of those smartphones, definitely not at those prices. The lowest priced model is the LG X Power for $156 total or $6.50 per month on an approved credit.